This first article was written by Hugh Haskell, who in 1962 was the Lotus Engineer charged by Colin Chapman to turn the back-of-a-napkin concept into a competitive car! Hugh’s writing highlights the differences between Ford and Lotus, the one with process, procedure, quality control, hierarchy and 57,000 employees, the other with…..well, creativity and 150 employees. IN July 1962 Colin Chapman swore me to secrecy, then showed me a sketched layout of how the Lotus Cortina would differ from the standard car which was about to be announced. I was told that Ford had given Lotus the job of producing the high-performance version and that I would be charged with the project. It was only later on that I realised the importance of this venture to Ford: the company’s entire image, which had been somewhat pedestrian until then despite some sporting successes, was to be rebuilt around motor sport. The essence of the idea was that Lotus would develop a ‘no holds barred’ modified Cortina and set up to manufacture at least 1,000 of them for sale. This was the magic number which would enable the cars to race, with yet more modifications, in Group 2 which was then the focus of International saloon car racing. It wasn’t long before I was called to a meeting with Chapman and Harley Copp, the Ford Director of Engineering, at which some of the original plans were agreed. From then on our draughtsmen began to turn out engineering drawings from Chapman’s initial sketches of the special Lotus parts we would have to make. These included suspension parts and the installation of a pair of adapted Mkl8 glassfibre seats. Things moved fast: a car arrived from Dagenham, concealed under wraps, and it was placed in our prototype shop. At this stage it was just a bog-standard 1200, painted light grey and fitted with iridescent blue upholstery and trim, and it stood on spindly 5.20×13 cross-ply tyres. It didn’t inspire the lads much to see it! First we virtually stripped the car for access, discarding everything we would not need, and the bodyshell was placed on stands. Time was very limited as a big demo day had been planned at Silverstone to show the cars to the Ford directors, and we wanted to test it there privately first. Our first problem was fitting the special radius arm and A-frame rear suspension: in those days there wasn’t even a hoist in the Lotus prototype shop – all previous models had been light enough to be shifted as required by hand! As we could not do any high quality welding from underneath. I gave instructions late one night for the car to be rolled over onto a bed of tyres, reasoning that a bare body doesn’t weigh much. Next morning there was a pool of oil on the roof lining from the steering column. This was hastily mopped up, the welding was completed and we rolled the car back over again. Guess what? It looked as though it had been rolled, with the roof neatly dented in. The Lotus sheet-metal experts were called in to repair the roof, which somehow ended up sprayed white, but I still had the problem of the damaged roof lining. George Baggs was my contact at Ford Engineering and he got Ken Neale to come over with a new lining. However, I was informed with the confidence of sure knowledge that it could not be fitted without the skills of the Ford trim experts – and they weren’t available. The job involves the removal of the windscreen and various trim parts and as I had had a 100% failure to recruit volunteer fitters for the job I stayed behind one night to complete it myself. There’s a first time for everything: I think they allowed about five minutes for this job on the Dagenham production lines but after two hours I was beginning to see George’s point: it was impossible! I minimised the wrinkles as best I could before packing up for the night. Next day George gave me a hint: inject a few drops of water with a hypodermic syringe to wet the woven topside of the fabric around the wrinkles so that its subsequent shrinkage will pull them out. Eventually, of course, Chapman returned from his latest trip and I had some very anxious moments waiting for him to come round to check on progress. His first question was: “What made you repaint the roof?” In some trepidation I explained the problem and its solution and was quite thankful when he said: “At least you got it done; he who never made a mistake never made anything!”. Producing the 5.5 inch rims for the 6.00 tyres was another interesting problem: for the prototype we solved this by grafting some rather heavy Jaguar rims onto the Ford centres but later we needed a production version, involving expensive press tooling for the centre and other tooling for rolling and forming the rim. Fortunately Dunlop funded this. With the first test due on a Monday, and Jim Clark down to drive it, we got the prototype finished, with its 140bhp race-tuned engine installed, on the Friday before: even the bucket seats had been trimmed in matching iridescent blue! We had the weekend to get a few miles on it, an important job as we had established that the diff units would get very noisy in no time at all without it. With some running in they would stand a chance of lasting at least reasonably well. On the production cars we overcame this by the use of special evil-smelling ‘initial-fill’ oil. Part of my weekend was spent doing laps of the Caterham bypass near my home. High speed was all right but I had to avoid applying too much torque in the low gears. Over and over I went down to the Godstone roundabout and back along this pre-war dual carriageway. Happy in my work, I kept on passing a Wolseley 6/80 police car, the crew of which eventually waited at the Godstone end for a little chat. The Cortina had been announced by then but this was the 140bhp Lotus version, on wide wheels and trade plates. After a polite disagreement on the necessity of running in back axles the police asked what the car was, whereupon I had to say: “I’m not really supposed to tell you.” So they asked to check the engine number “in case it was reported stolen.” After looking under the bonnet they decided it was just as well they had not given chase! Early on the Monday morning I drove the car up to the Lotus factory in Cheshunt, had the Dunlop R5 racing tyres fitted, and pressed on to Silverstone with one of the fitters, discovering just how unpleasant racing tyres could be on ordinary roads for which they were not designed. The testing went quite well and, though the poor diff unit became increasingly noisy, Jim Clark lapped the long circuit in under two minutes, braking the saloon car lap record. That evening Chapman drove me back to Cheshunt in the car; we didn’t talk much, thanks to the axle noise, though he did wonder aloud if we would make it. I don’t remember much of the next few days: we changed the diff and no doubt there were other jobs. Around that time we were very concerned over the propshaft for the car, specifically the effect of whirling which arises when a shaft is run too fast. If you imagine a conker on a string you can visualise the phenomenon: with the conker hanging, rotate it by rolling the string between your thumb and index finger and as speed is increased you can see the string bow out. You have to make sure that this cannot happen to a propshaft at any point up to the maximum speed of a vehicle and there are well-established calculations to give the maximum safe speed. Uncomfortably for us, these calculations revealed that we would need a 4.5 in shaft, like something out of a truck, to accept the huge torque and high speeds: the final choice, while safe, adversely affected handling and noise so that’s why the two-piece propshaft was brought in later. Meanwhile we had the Silverstone demo day for the big cheeses from Ford: Jim Clark demonstrated the car solo and then gave rides to the directors, some of whom had no conception of what racing speeds meant. Some were elated by their two-minute laps while others reacted with incredulous terror. We had just one snag: as Jim pulled in at the end of the very last lap of the day, the rear left wheel emerged from the wheelarch on its halfshaft. The retaining ring holding the bearing into the axle had let go: this ring is such a tight fit that it stretches beyond what is known as the yield point, which means that it is permanently stretched and should never be re-used. George Baggs designed a heavier retaining ring which solved this problem for the production version. The mechanics got the car back together so that it could be driven back while I was offered a lift with George Baggs and a Ford VIP in Chapman’s Piper Commanche: we landed at Ford’s Boreham test track to drop them off before going home. From then on we were deeply involved in developing the car for production, and it was up to me to do it! The next few months saw many trips to Ford’s Engineering Centre, then at Aveley, to get help or information. Quite early on we found that the rear of the body would drop and cause bulges over the rear wheels; this was because our suspension concentrated the load on a point that had been designed only as a damper mounting. It was cured by a rather weird tubular device which was built into the body during manufacture – a drawback being a slightly untidy relocation of the spare wheel. Our prototype had a Triumph remote gearshift as used on the Ford-engined Lotus Seven and mounted on a small housing I had designed. Ford preferred to design a similar mechanism of its own and showed me an early drawing of it in a meeting at Cheshunt. 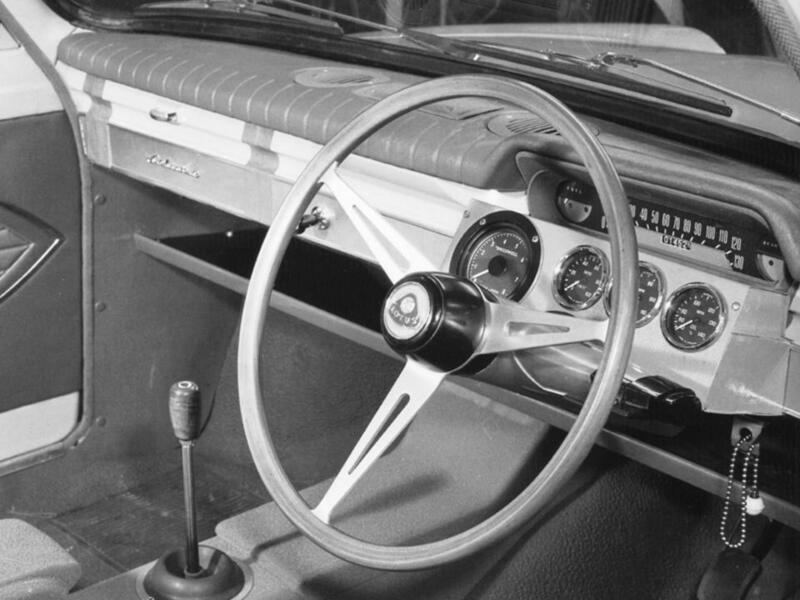 I could not believe my eyes: there was a rigid selector shaft in sliding bearings connecting directly to the bottom of the pivoting gear lever. It could not possibly work! The engineer had conceived the idea of doing away with a pivot by making part of the selector shaft thin enough to accommodate the lever movement by bending but the draughtsman had not drawn it correctly! I remember taking one of the early cars to Ford’s Aveley prototype workshop, I think for a gearbox upgrade, and it was quite an adventure to get inside such a place. The engine had to come out first, a job that would probably have been done at Lotus by two mechanics. At Ford in those days, there had to be a body fitter to remove the bonnet, an electrical fitter to disconnect the battery and other wiring, a dyno fitter to disconnect fuel pipes, linkages and exhaust and a chassis fitter to undo the engine mounts, and so it went on. Most services worked in pairs so there was quite a crowd involved and it wasn’t exactly a speedy process. Talk about jobs for the boys! One of my jobs then was estimating the development programme costs for Chapman: inexperienced in this art, I wrote down the road and test track work, the design work and prototype parts building or purchasing, tyres and petrol, the man hours and even the required lodging and food allowances. From Ford I obtained a list of the tests it would expect us to carry out, and this was a good deal longer than our own. I included all this in my calculations, with generous safety margins, and set it all out clearly for presentation to Fred Bushell, the Lotus Company Secretary. He said that it looked all right but I should double it, so I went away and increased all the allowances and added a sizeable contingency factor and spare parts allocation. When I sent the final quotation to Ford, the reaction was laughter: “You cannot possibly develop a car for as little as that!” They doubled the figure again. Meanwhile a new building was going up at Lotus to house Lotus Cortina production and a new road car Development Department – separate from the racing side for the first time. This was all at first-floor level, with the stores and service workshops downstairs. The production system was that finished and trimmed bodies would arrive from Dagenham and be craned up to the first floor to be put on trolleys. They remained on these trolleys as the green stripes were sprayed on and the rest of the build progressed. According to Ford’s grand plan we should have been racing the cars in International events almost straight away. We had heard that the new Jaguar E-type and the Mini had both been homologated when only a handful had been built, the RAC inspector apparently being satisfied that the intention was there to build the cars in the required numbers. However, it seemed that the Ford Competitions Manager was completely frank with the authorities and thus the Lotus Cortina was not homologated immediately. The RAC Inspector could not give his approval once he had been openly invited to collaborate in a circumvention of the rules! 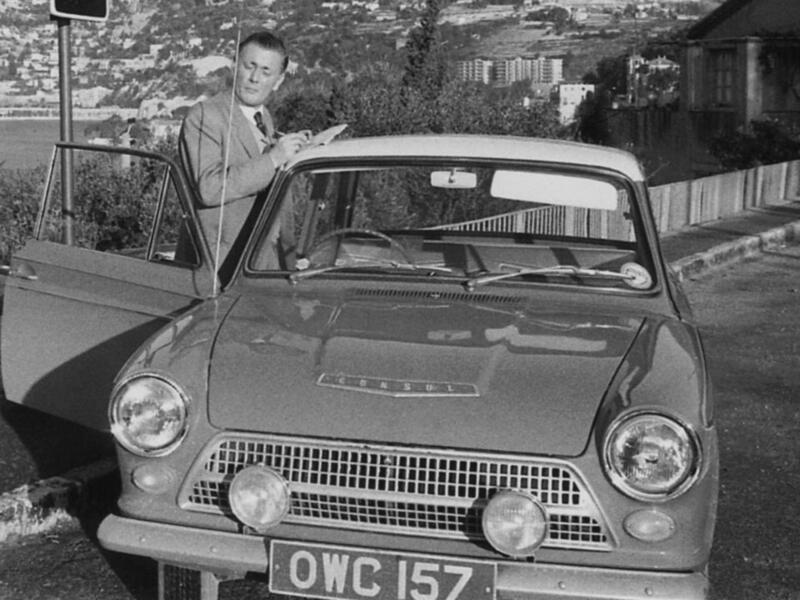 Thus the Lotus Cortina had to wait another year for its International competition debut. Once the design and testing was done I was seconded to the production department to help get things going. In the new upstairs factory a second office was built, above that of the foreman, which I shared with the factory manager, Chris Cadogan Rawlinson. We both reported to a recently recruited Production Manager, John Cope-Lewis. Not having heard this before, we were fairly sure the Ford guys were being rude, whereas in fact a Deviation was just the Ford document which permitted an alteration to a standard specification. The difficulty was that a Deviation had to be approved by Ford Product Engineering but we did not recognise its authority within our own factory. Such details can be handled informally in a small company but it is vital that they are thoroughly defined in writing in a larger one: at that time Ford employed 57,000 people to our 150. The immediate impasse was resolved by some Chapman diplomacy; he wrote a note which was passed around the Ford hierarchy saying that once a drawing or technical instruction had my signature on it then it also had his authority behind it. Inevitably, this was put to the test in the first few days of production when the Ford Chief Engineer and some of his staff paid us a visit. I walked round with him as he quizzed me on a number of points. There was an awkward moment when he noticed that some rear suspension bolts were being tightened down without torque wrenches: what was the specified torque? To answer this, I tightened one of the bolts myself with a ring spanner until it felt just right and then measured the torque I had used; I wrote the figure down as a formal instruction and signed it. The Ford people were horrified but when they checked it was revealed that I had chosen exactly the right torque for that size of bolt. We were both right and it was just another example of the difference between big and small companies. There were several such incidents to test our mettle on that visit! With production under way, I was free to return to my role as a development engineer: there were the racing and rally cars to be sorted out, the rear suspension A-frame needed improving and so on. Looking back, the rear suspension question was badly handled. For one thing, Chapman was undoubtedly the master of single-seater suspension at the time but he was on unfamiliar ground in devising the specification for a much heavier saloon car, and he admitted that the suspension frequencies we were dealing with seemed quite foreign to him. As we had to stick with the live rear axle of the basic car, Chapman clung to the system of the Lotus Seven S2: radius arms and a lower, symmetrical A-frame. It was a bad choice not only because the Cortina rolled more than the Seven and the bushes could not cope but also because there was not room to get the radius arms high enough above the A-frame. The fact that lack of space also prevented the radius arm mounts on the chassis from being ideally placed did not help either. We persevered: our original A-frame threaded pivot bearing had a sound engineering pedigree but it should have been stronger and better protected against water and dirt. The Ford-designed pivot which replaced it was a much better job and less harsh too thanks to the resilience of its plastic bearing bushes. The suspension was lowered front and rear, of course, with a stronger front anti-roll bar. Negative castor which resulted from lowering the front was retained to avoid excessively heavy steering which would have been made even worse by the wider tyres. One of the reasons for increasing front roll stiffness was that live rear axle. Without independent rear suspension, which can be designed to reduce or eliminate body roll, the quest for good handling demands a high front roll-stiffness. We reduced the camber angle of the front wheels to prevent them from leaning out as body roll took place during cornering. This was achieved by lengthening the track control arm (tca) and the job was soon made easier by the introduction of a new, heavy-duty forged tca which only needed to be reshaped and then heat-treated again. The front struts were standard (sic) apart from a higher damper valve setting, carried out by Armstrong in manufacture. From the outset Chapman had specified aluminium as a replacement for steel or iron wherever possible, but Ford had said it would not pay for the special tooling required for several body panels (bonnet, boot, doors) and major engineering castings (clutch housing, gearbox extension housing, diff casing). Chapman, pragmatic as ever, pointed out that, although aluminium would behave slightly differently when pressed and cast, so long as these differences did not actually prevent the parts so made from serving their purpose then purist engineering principles could be set aside for the sake of practical benefit. In practice, the aluminium body parts caused no great problems, though there was a higher reject rate which added to their cost. It wasn’t so easy with the castings: more noise and reduced life was accepted with the clutch housing but a worse problem arose with the aluminium differential casing. Here Chapman was doubly insistent because it was part of the unsprung weight of the car, but stiffness was reduced by about a third while the torque was 50 greater. The result was that the two diff side-bearing retainers flexed more than a quarter of an inch under load, causing misalignment and imperfect meshing of the gears, resulting in very rapid wear. Ford overcame these difficulties by using new bolts with special heads located in the axle housing, plus an additional strengthening plate built into the housing. Also, further reinforcement had to be built into the casing to allow for the extra loads induced by the A-frame suspension and I suspect that in the end unsprung weight was probably increased by all this effort to reduce it. Thanks to the homologation delay there was plenty of time to prepare the Team Lotus cars for the following season. Ray Parsons headed the team of mechanics and they had worked with a will to produce the lightest-possible cars. All unnecessary parts like heaters were removed, of course, but Ray’s team even scraped the filler from the body joints, removed padding and nearly all the upholstery springs from the passenger seats and removed the hardboard backing from the interior trim panels. Goodwood was booked for testing before a race at Crystal Palace: Jim Clark was down to drive the two cars which we transported to the test session. Chapman also drove the cars and I had persuaded him beforehand to let me have a go too, “but keep the fun to the end,” he had said. Around 4pm the serious testing was over and dark was out on the circuit, so Chapman decided to go out in the second car and “show Jim how to do it”. As Jim came by the pits Chapman streaked out to join him and they approached Madgwick corner, a fast top gear right-hander, on a parallel course. Somehow they got much too close and it ended up with Chapman’s Lotus Cortina rolling right over. My chance of a track debut ended at that moment and we were faced with a very bent car to prepare for the race the day after next. Ray obtained another standard production shell the next morning and his mechanics set about repeating all their lightening trickery in double-quick time. All the parts that could be swapped over were then fitted. At Crystal Palace I think it was Trevor Taylor who was down to drive this hastily prepared car, and practice went without a hitch. When he came to the start line for the race, however, the pit crew noticed that he had about two inches of toe-out on the front wheels! In the three or four minutes before the start there was just time to re-adjust the track rods so that the wheels looked more-or-less straight but after a lap or two the car was back in the pits, this time with about two inches of toe-in! The lower ball pin had been bent in the Goodwood crash and, turning in the end of the tca, was causing this unusual problem. About this time we undertook an interesting diversion in producing two Lotus Cortinas with independent rear suspension: the first was very much an experiment while the second was built as a road car for Jim Clark. For the first IRS Lotus Cortina, Chapman had sketched a light sheet metal ‘bath tub’ form to be let into the floor over the rear axle, to accommodate and support the Elan diff unit. Wishbones, similar to those of the Elan but larger, were mounted to a tubular Y-frame picking up the chassis side members and the underside just below the rear seat. This Y-frame also provided the mountings for the diff torque rods. Elan struts and rubber ‘doughnut’ drive joints were adapted for use on this car, the struts being mounted in special towers which replaced the normal smaller ones provided for the dampers. In testing, the car worked well with few adjustments needed but the diff top mounts in the ‘bath tub’ were nowhere near rigid enough. Watching the rear floor around this area while the car accelerated in low gear, one could see the sheet metal flexing like the waves of the sea. On Jim Clark’s car a substantial fabricated crossmember bridged the two chassis side-members at their highest point above the rear axle position and this replaced the ‘bath tub’ diff support, removing the stress from the floor. Speaking of Jim reminds me of the story of his first RAC Rally in a Lotus Cortina. He went off the road down a steep, wooded drop and he closed his eyes waiting for the impact. After a series of loud crashes and jolts it all went quiet. He opened his eyes again to find that they had just passed through the tree tops and were still falling, so he closed his eyes again until after the final landing. At Lotus we had no experience of rallying, so we learned from the Ford people at Boreham all about underside protection and suspension set-up. 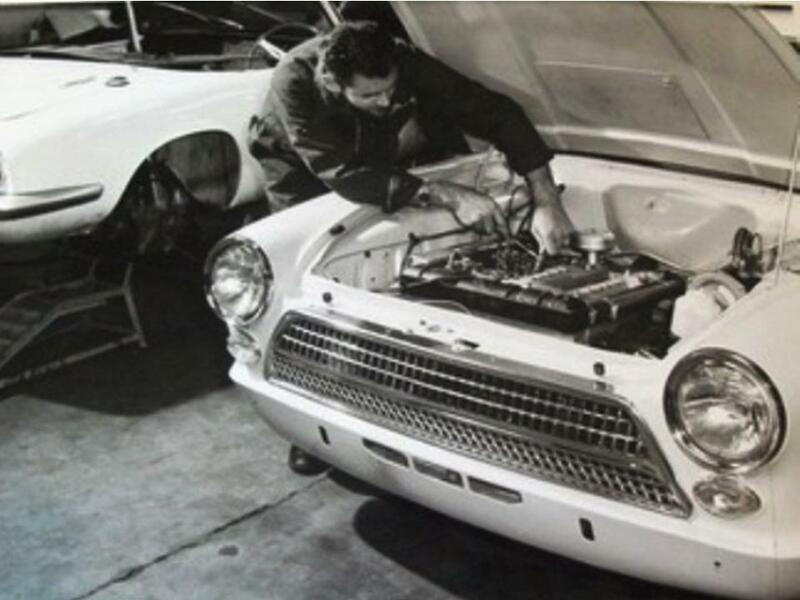 By this time we had already started work on the Mark 2 Aeroflow-bodied Cortina which was due for announcement in August, 1964, so our job of putting the original Lotus Cortina on the map was complete.